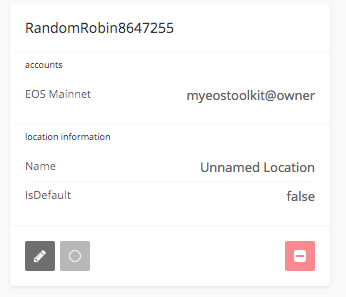 An EOS account has keys associated with it. Each key has a certain permission. 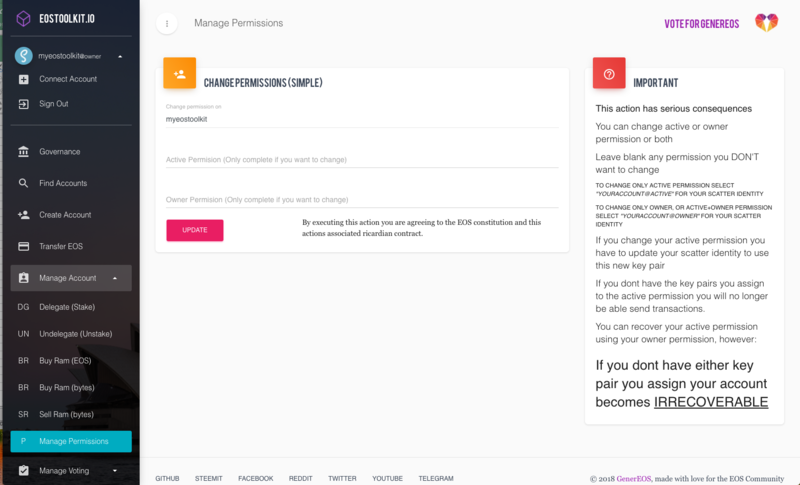 Example of key permissions can be generated to buy/sell RAM but not to transfer coins or tokens. 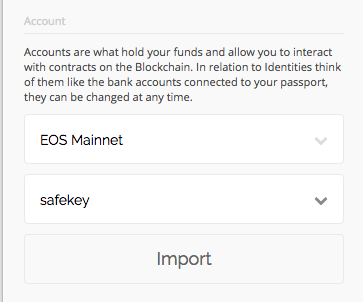 This means that if you give the private key to someone else they would only be able to buy/sell RAM but not transfer any of your coins or tokens. 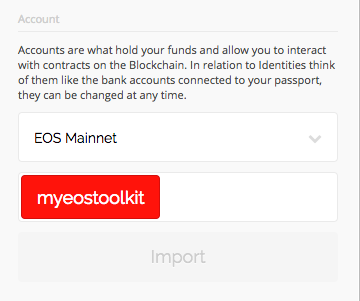 Owner Key: The Owner permission is the "root access" to your EOS account and symbolises ownership of the account. 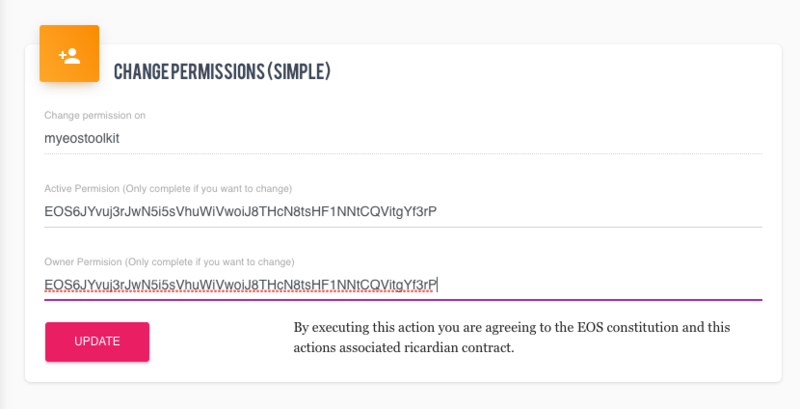 Only a few transactions requires this authority. 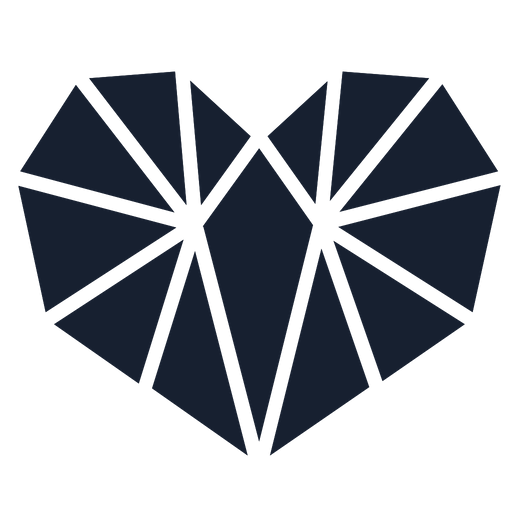 Access to the private key for the Owner permission will allow you do perform any function on your account. It is generally suggested that you keep your Owner Key in cold storage and not shared with anyone. 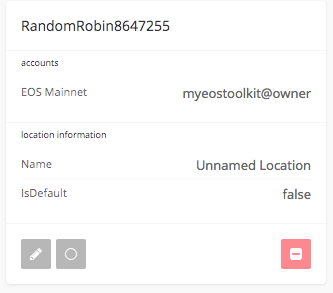 If you Owner Key is exposed then your account may be compromised. 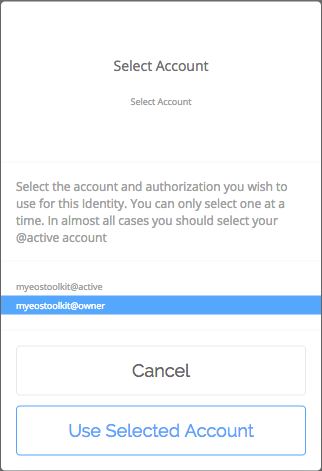 Active Key: Active permission is more restricted. 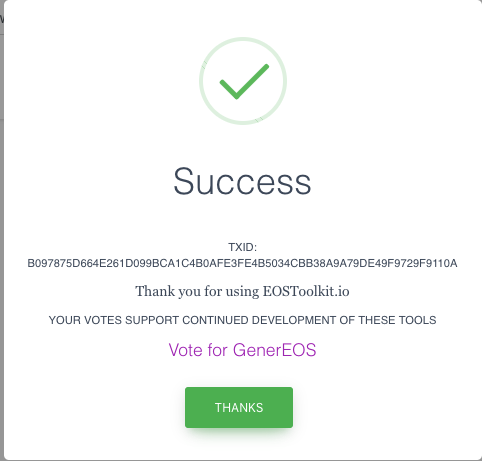 It is used for transferring funds, voting for block producers and making other high-level account changes. 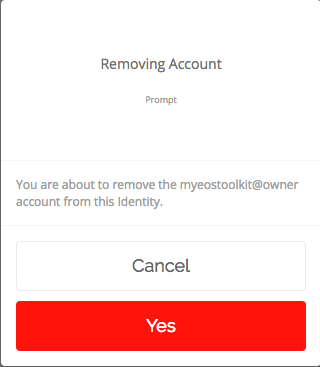 Active keys can not be used to change the Owner private keys. If your Active key has been compromised you can only change it using your Owner key. 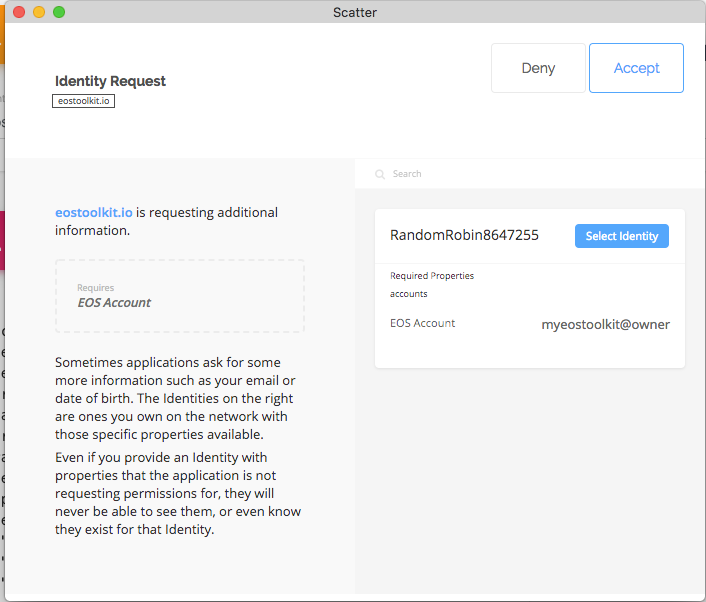 To change the keys associated with your account you must ensure that you have selected the @Owner Key within your Scatter Identity section. For more details around this read our Attaching Scatter Tutorial. 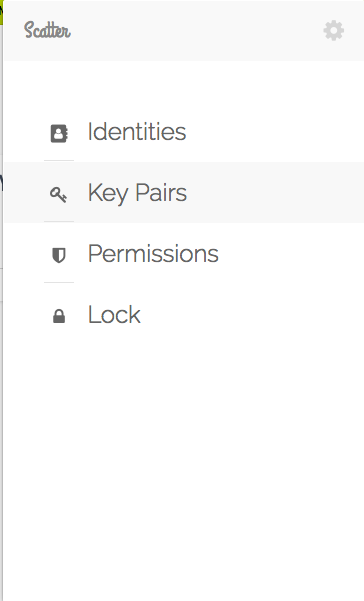 Most accounts have the same Active and Owner keys at this stage but its good practise to ensure you select the owner key for this process. 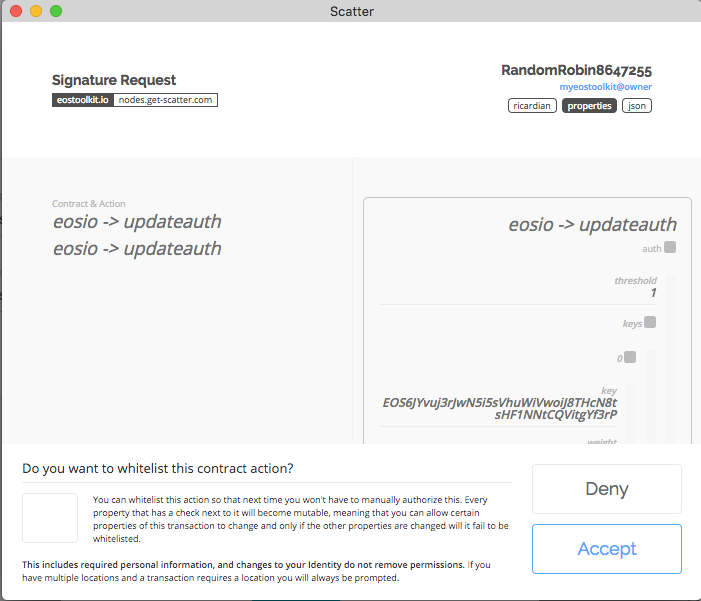 You can use an offline key generator, an existing safe keypair that you already have, or follow these instructions to use Scatter. 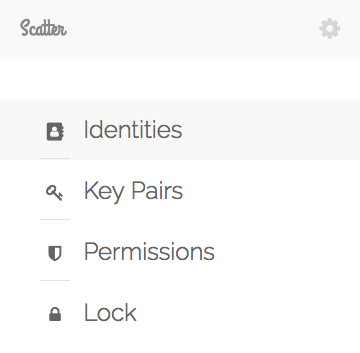 Once a keypair is saved into Scatter it CAN NOT be viewed again as a part of Scatters Security features. Step 5: Update the keys! 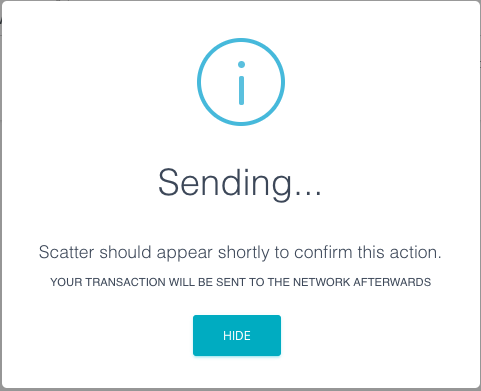 A pop up will appear... Scatter is taking a moment to sign the transaction and download the Ricardian contracts. 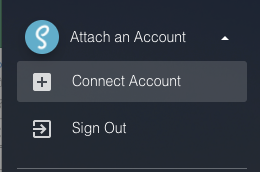 You can also lookup your account again. 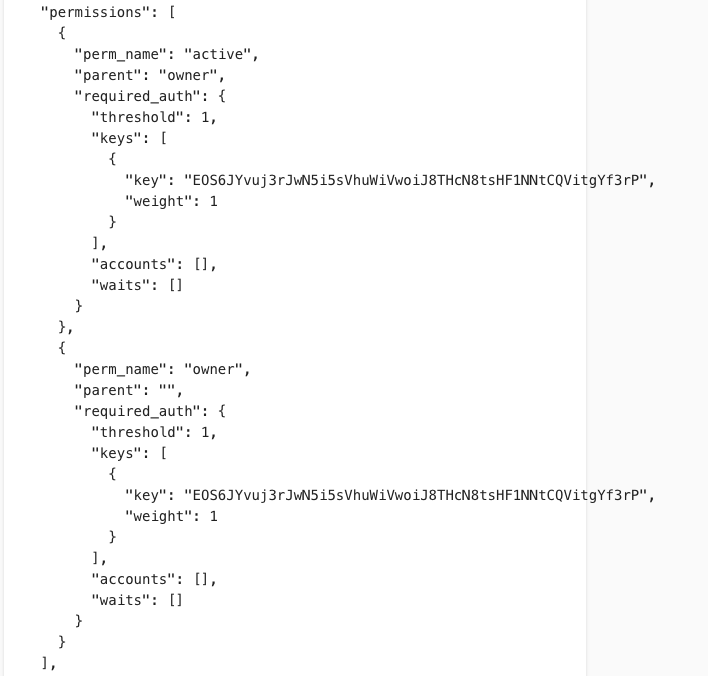 You must click Search again if your name is still there then click JSON file and check the keys as shown below. 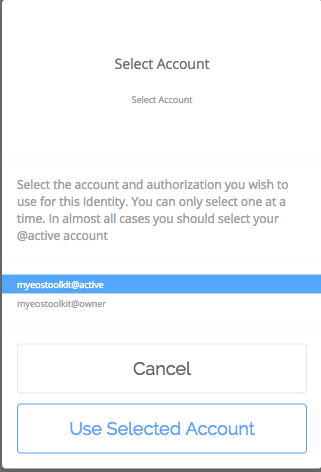 Select youraccount@active for future transactions.